Thoughts: I love this passage from the Pentecost. How can you not? It’s the birthday of the church. In preparing a sermon from this passage, I felt I needed to relay the story and what is going on. I opted to teach through the text and to work slowly through the 21 verses. I opted this week for The Message. I love the use of the word “thunderstruck” in the text! Pentecost comes at an important time. The followers of Jesus are feeling their way through life without Jesus physically present. Pentecost turns the Holy Spirit loose! Images: I was listening to some music in the car this week and came across Jason Gray’s song, “The Sound of our Breathing.” It’s a strong image of our breath being tied to the name of God. The Spirit of God is God’s breath, the wind that blows through Pentecost. I also tried to think of a visual to demonstrate what it is like when the church is fully inflated and then a way to make the contrast of what it’s like when we waste our breath. 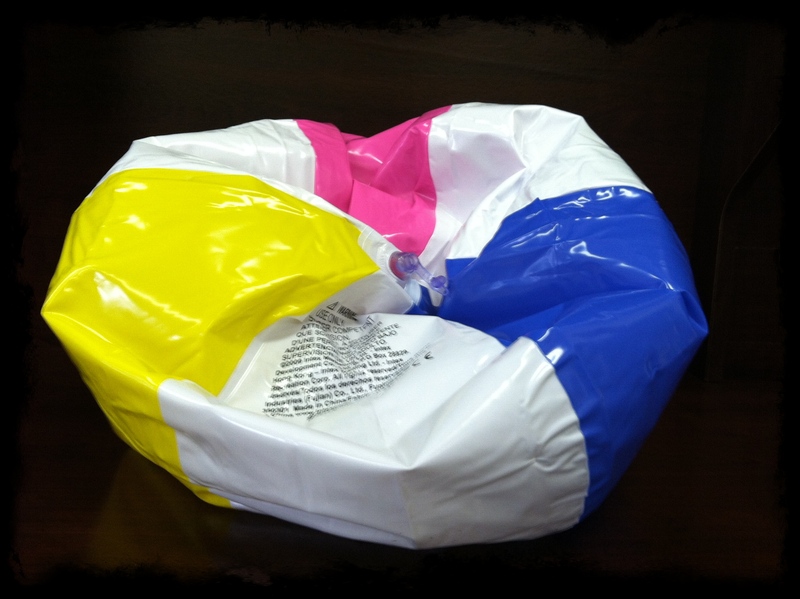 I decided on a beach ball. See the picture! The audio for the sermon this week might be a little off. I will try to clean up the file when I return back home from some time off. Sources: The book, “The Names of God.” Jason Gray’s “The Sound of our Breathing” and the notes on the writing of the song. Numerous reflections on the name of God.